Blockchain is a revolution in reconciliation but not in payments, is one of the messages coming out of the Swift Business Forum London 2016. 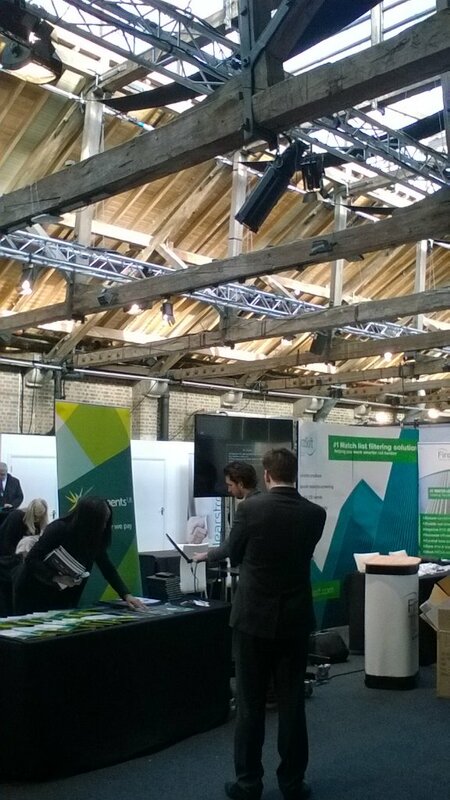 For the sixth edition of the show, more than 1,300 delegates were rammed and jammed into Tobacco Dock, London. This morning’s (20 April) sessions were dominated by warm-up speeches that praised London as a fintech hub. Javier Perez-Tasso, chief executive, Americas and UK region for Swift, used his welcome address to say we are in the midst of a “fourth industrial revolution”. But while there is a pat on the back for fintech firms (i.e. the audience), Perez-Tasso says while they are “not encumbered by legacy systems – they don’t always have the power of distribution”. He notes that the UK has “led the way for faster payments” but warns that “infrastructure changes are happening on many fronts”. The idea of recognising and addressing challenges was a common theme for the first half of the day. With the motivational stuff out the way, a panel of four (an “opening plenary”) discussed how to “build the future” for payments. There were a lot of sharp and pertinent comments, but Marion King, director of payments at RBS, perhaps had the best information to share. She says: “The UK is only one of six countries which has more electronic points than cash.” To put that into context, on a global scale 85% still use cash, while 15% use electronic payments. King notes that the UK is the number one global per capita user of e-commerce, which “tells you a lot about its economy and the people who are embracing change”. The US is in second place, followed by Germany. Again, the love and adoration for the UK knew no bounds. But there were stats on hand to back it all up. But Hauser, did say the BoE talks to banks (et al) – about payments, and the feedback it gets strongly suggests “they want resilience and real-time all the time”. He says the days of the bank closing at night or at weekends may be numbered. Also in the morning was a panel discussing “Blockchain – beyond the hype”. The moderator got the audience to vote first on blockchain’s biggest impact. With a quick online poll, 31% say securities settlement and reconciliation is the dominant one. Because the panel had a vested interest in its use they were generally positive about blockchain’s potential impact. But they didn’t go overboard with the plaudits. It was all rational and well argued. There were a lot of engaging insights, but Simon Taylor, VP entrepreneurial partnerships at Barclays, proved adept at explaining the world of blockchain best. We don’t know if he’s right yet, but he sounded convincing. Often at these events, themes can be discussed but not everyone really understands the background. Taylor was on hand to help: “It’s many blockchains, no one has stitched it together.” In his view, this is the main challenge. The industry will need to seek standardisation. A lot of good things were mentioned by the panel, but for clarity and time have been left out. The final word is with Taylor, who describes blockchain as a “revolution in reconciliation, but not in payments”. BoE, PRA and FCA call for feedback from firms and financial market infrastructures. The panel will input into the implementation of ISO 20022. BoE-ring! Carney joins critical-of-cryptocurrencies crowd.